Having suffered from a stroke recently Phil Dow cited health reasons for leaving an organization that he has led for decades. Dow Associates had a contract thru September 2019. After suffering a stroke, he cannot continue. He suffers short term memory issues. With the massive amount of transportation planning that it entails , this will be a freat loss. Phil has a succession plan, Nephele Barrett will be continuing in his place. Dow Associates will continue fulfilling their contract. Acting as the Regional Transportation Planning Agency, MCOG disburses state and federal funds for transportation and provides regional planning. Occasionally the Council serves as a regional forum. MCOG is responsible for preparing the Regional Transportation Plan, and funded projects are to be consistent with the Plan. Projects involve planning, capital improvements, rehabilitation and maintenance, public transit fleet replacement, and multi-modal facilities. MCOG is overseen by a board consisting of two Mendocino County supervisors, a countywide public appointee, and one council member from each of the four incorporated cities: Ukiah, Fort Bragg, Willits, and Point Arena. A representative of Caltrans serves on the Policy Advisory Committee with the seven directors. 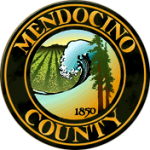 Mendocino Council of Governments (MCOG) was formed as a joint powers agreement in 1972, as mandated by state law, the Transportation Development Act (TDA). MCOG is a political subdivision of the State of California. MCOG serves as the Service Authority for Freeway Emergencies (SAFE) of Mendocino County, administering the call box program since 1994. MCOG also is involved with housing and economic development.